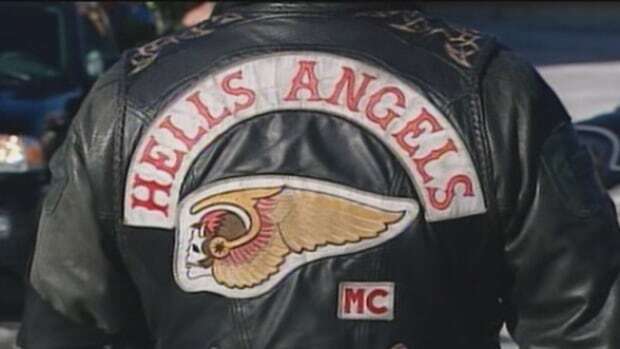 The Hells Angels Nomads are making their comeback in the Ottawa area for the first time since violent in-fighting in the summer of 2016 forced them to lie low, according to information obtained by Radio-Canada. According to anonymous police sources, the Ottawa-based Ontario Nomads chapter recently obtained a new charter from the Hells Angels, but will need to be careful not to encroach on territory ruled by Quebec Hells Angels. For two decades the Quebec chapter of the Hells Angels based in Sherbrooke enjoyed massive profits from drug sales in Ottawa and Sudbury. The Ottawa-based Ontario chapter of the Nomads was founded in the early 2000s by former Rock Machine member Paul Porter. According to anonymous police sources, the group expanded rapidly into the Outaouais, Abitibi-Témiscamingue and northern Ontario after arrests in 2009 decimated the Quebec Hells Angels. The drug revenue the Sherbrooke-based Hells Angels had enjoyed began to dwindle, and the remaining Quebec gang members lashed out to protect their territory. On the morning of April 16, 2016 former Olympic boxer and Ontario Nomads vice-president Phil Boudreault was injured in a drive-by shooting in Lachute, Que. There was a second attack a few weeks later in Granby, Que. Then on Aug. 12, 2016, Martin Bernatchez, president of the Hells Angels Nomads of Ontario, was shot three times in Sherbrooke, in the heart of the Quebec gang's territory. "They protect these territories against all intrusions, whether external or internal," organized crime expert and author André Cédilot said in French. "The Hells Angels do not hesitate to take out their weapons to protect their territories." In the midst of that violence Sûreté du Québec launched Operation Muraille, aimed at dismantling a drug production and trafficking network used by the Hells Angels in the Granby region. High-ranking members of both the Sherbrooke Hells Angels and the Ontario Nomads were arrested, along with a lawyer acting as a mediator between the two groups. The arrests appeared to destabilize a fragile union between the factions, and long-standing territorial tensions boiled over again. According to police sources, it was Ontario Nomads who broke the truce. "This is not the first time that members in good standing have broken the rules of the organization. And when that happens, let's say that the Hells do not hesitate to eliminate them," Cédilot explained. At the height of the internecine dispute in July 2016, the Ottawa Nomads welcomed more than 700 Hells Angels members and supporters from across Canada to Ottawa for a national "marathon," one of the criminal group's biggest gatherings. The Sherbrooke Hells Angels did not attend. In the end, the Quebec group won out, and the Ontario Nomads disbanded. Now the gang appears to be returning to the capital. The size of their current roster is unknown. Signs of their return include a major police operation in December that led to charges against 16 people in Ottawa-Gatineau. Violent feud led up to slaying of Pasco Outlaws leader. It started with stolen biker vests.